OhMyVera! 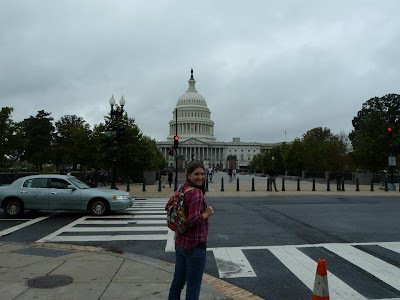 A blog about all things Vera Bradley: Back from sightseeing! Last week my parents were in town and I while I did have to work a few days while they were here, I was also able to take a couple off days off to go be a tourist with them! There is still so much that I havent seen in DC. We were able to tour the White House and Capitol. We also were able to spend a day out at Mount Vernon, George Washington's home. I can't wait to see them again in December when I go back to California for Christmas! I really enjoyed having them here. 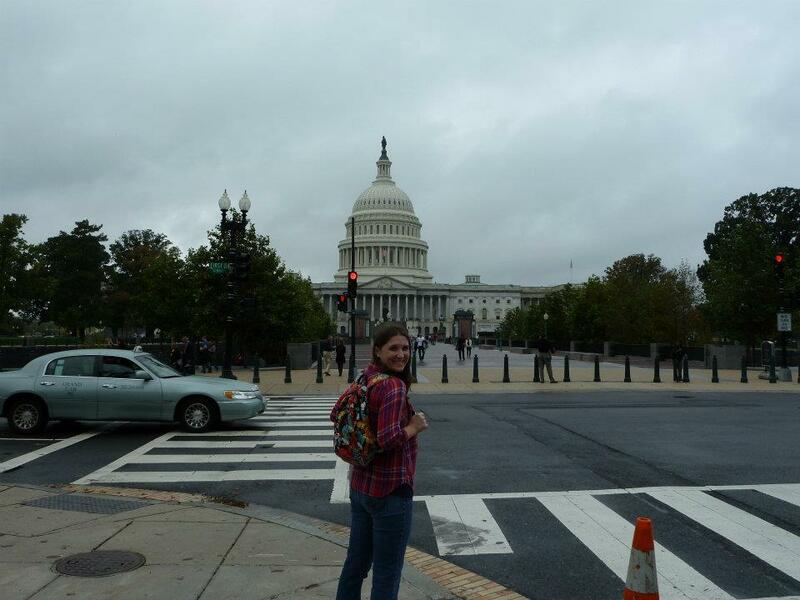 Here is a photo of me with my Happy Snails Bookbag at the US Capitol.